Getting back in its original great regular flavour. 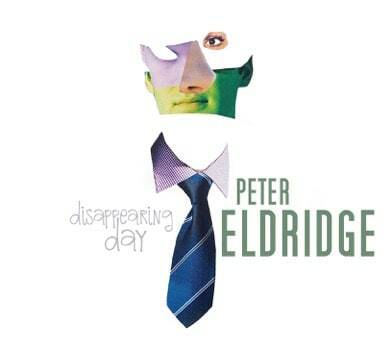 First up is Peter Eldridge‘s Disappearing Day. 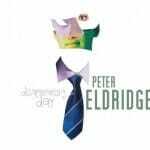 This one swings back and forth between jazz and pop, with various other influences thrown in between like folk and contemporary music. There’s even a song featuring blog-favourite Becca Stevens on voice and guitar. Overall, it’s a good and relaxed album made to please your ears, not to challenge them, and that’s a bit unfortunate. It comes out on July 22nd. While Sun Ends will release their new album, Terminus, in August of this year. It’s a mixture of post and progressive death metal, in the way I envision an Isis-Opeth (from Blackwater Park to Watershed) merger. They found a new singer for the more melodic moments, and she plays flute as well. Overall, it’s a very good album and you should be looking forward to it! Red Hands Black Feet is a post-rock and sludge metal band, and We Must Fall Forever if We Survive is their second release. It’s the first time, I believe, I hear this kind of blend of sludgy post-rock, and I think the low distortion below really complements well the atmospheric reverberative guitars above. It’s pretty good and I suggest you take a listen to it. The Schoenberg Automaton‘s newest album, Apus (feetless in Ancient Greek), is more of what their previous one, Vela, offered us: some sort of progressive/technical/brutal deathcore very disappointing for those expecting something similar to Arnold Schoenberg’s legacy. Once you let go of this reference, however, it’s fairly good deathcore (which is a rarity), but it’s pretty monochromatic all throughout the album. It would’ve been great to see them take in more varied influences and paint a more colourful portrait. Out last week, Memento Collider is the new album from Norway’s Virus, an avant-garde metal band. This one blew my mind! Between the organic, breathing production of the record, the crazy riffs, and the semi-spoken vocals lies a truly unique release. Really something you would adore! Up next is a pretty cool math rock release: Stage Kids‘s Intra Mental. They throw in a few jazzy-sounding chords here and there but are pretty far from being labeled as jazz math, or whatever this subgenre would be called… Mazz? Jath? Jazzock? Who cares? Still, this is a mighty fine release that you might very well enjoy. 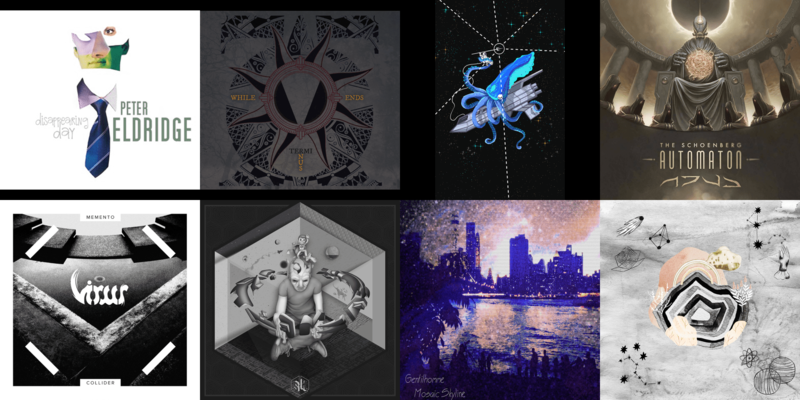 Gentilhomme is a solo project from Québec with two singles on their catalogue. Mosaic Skyline is the latest track in their djazzy, djentlemanly endeavours. It’s pretty good, and the guitarist certainly knows how to write good solos. It’s somewhat unpolished and amateur in production, but still there is plenty of promises for a bright future. And finally, another solo project from Québec (! ): A Great Adventure or Nothing‘s self-titled release. Once again, the production is a bit rough, but it gives it a certain personal taste. The vocals atop the post-rock-ish djent music are melodic and rough, and the drums programming is pretty good; it has loads of dynamic play and is backed by a decent VST as well, apparently. The rest is average for the usual djent bedroom project, that means the guitars are good and the song structures make sense, but there’s nothing overly flashy with it all. It’s a really good listen, however, so give in! On	June 6 2016, this entry was posted.